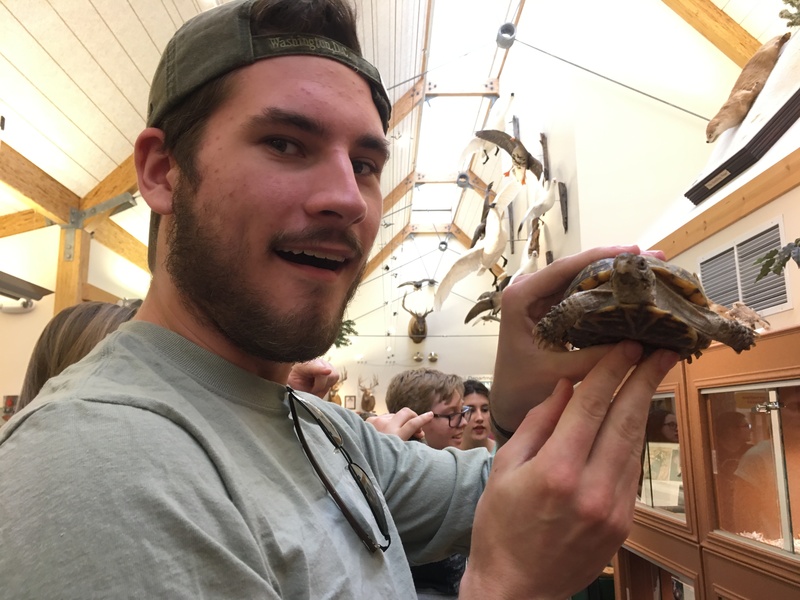 Mike Kesselheim makes friends with a live box turtle at the local Department of Conservation visitors center. 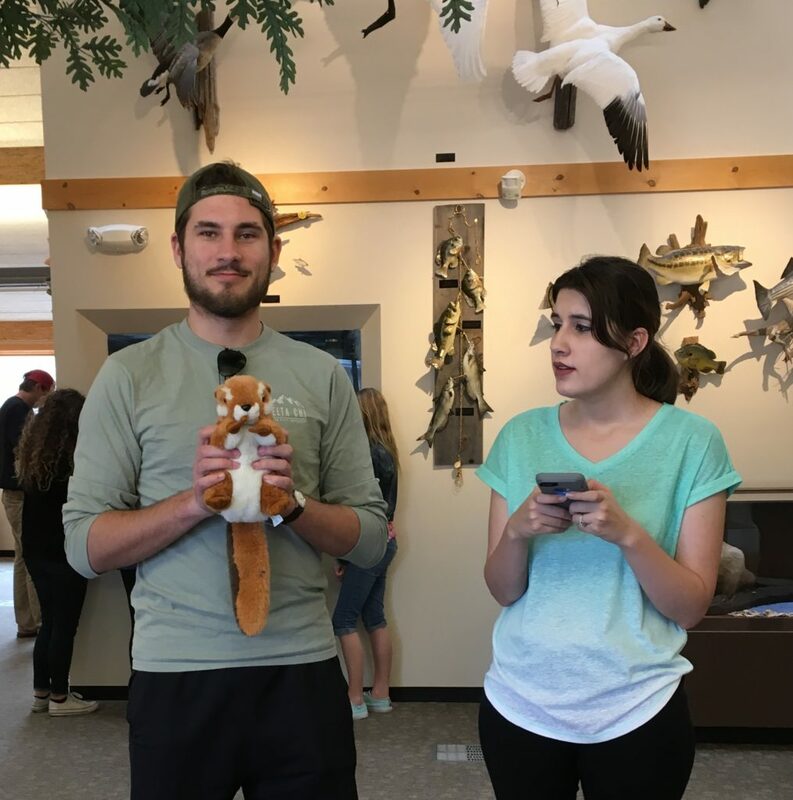 Mike Kesselheim and Kathleen Dusseault admire a stuffed (not taxidermied!) 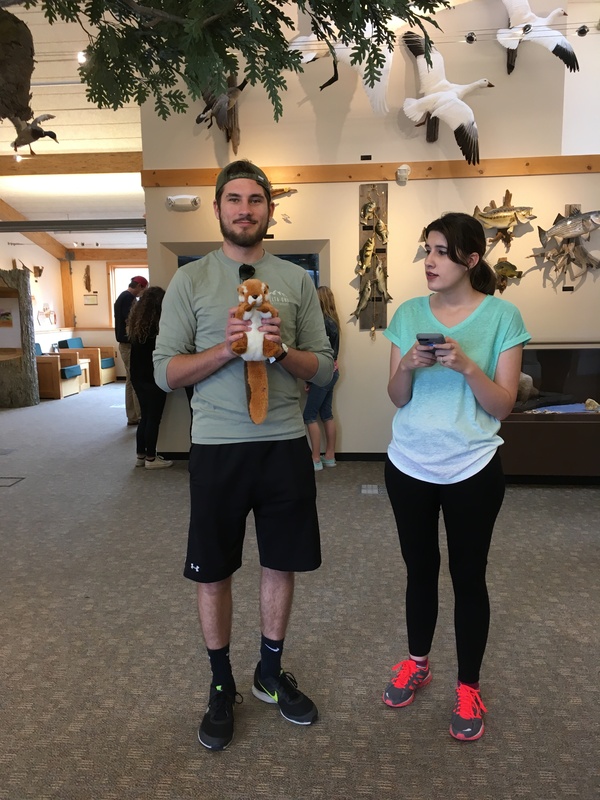 squirrel at the Department of Conservation Visitors Center.